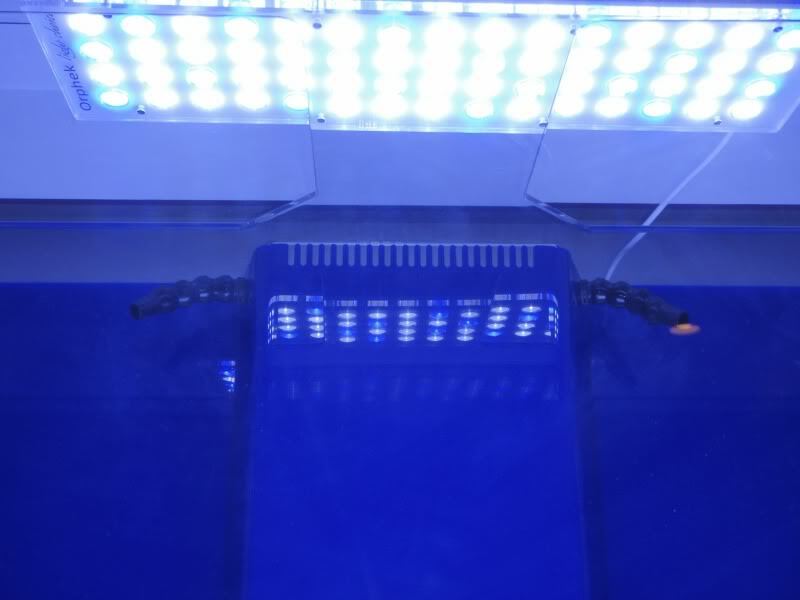 My first impression of the Orphek PR-156 was that it is extremely bright; you could not look directly at the LEDs, much the same effect as looking directly at a metal halide or HQI lamp, you cannot. The quality of materials used and workmanship are second to none. 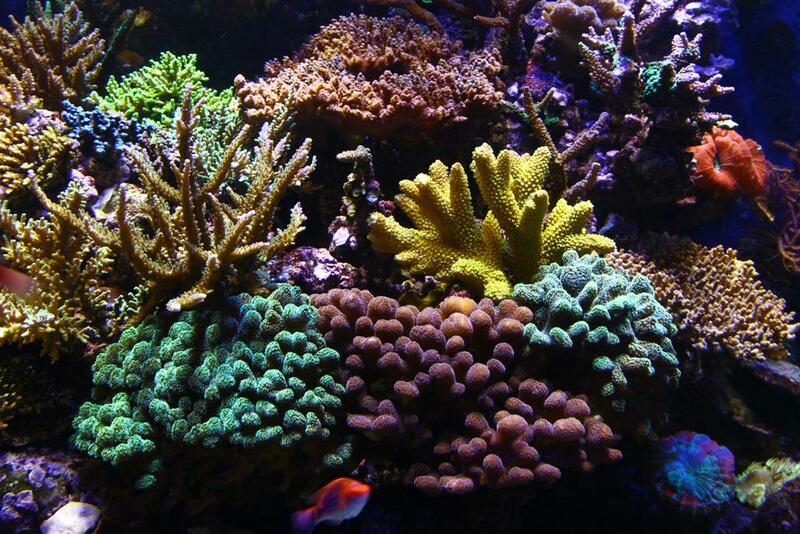 The color of the corals were much more pronounced than my present 10K MH lamps, but not over exaggerated. In three days of use with the Orphek replacing one of my two, 175 watt MH lamps, my tank temperature dropped nearly 2 ½ degrees. 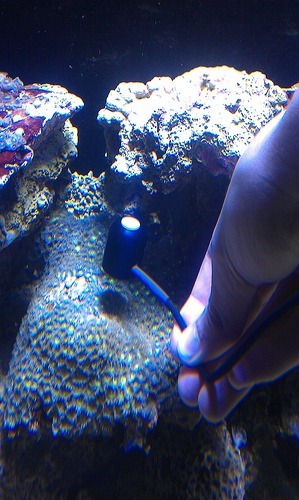 “The lowest coral I have is a colony of zoanthids, they’re sitting 56cm/22 inches from the water surface or 86cm/34 inches from the diode and to the front of the tank (not directly under the unit) and the PAR reading I got there was 150, I’ll try and get a clear pic for that reading when I’m back from lunch. 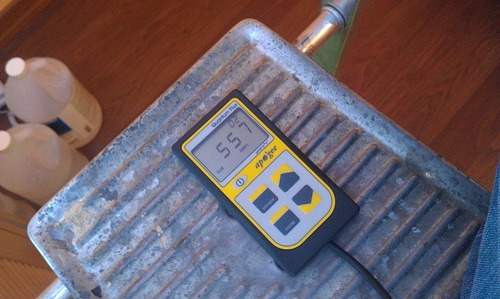 Kindly note all measurements were taken with 2 vortech MP40s and my return pump working on full blast. 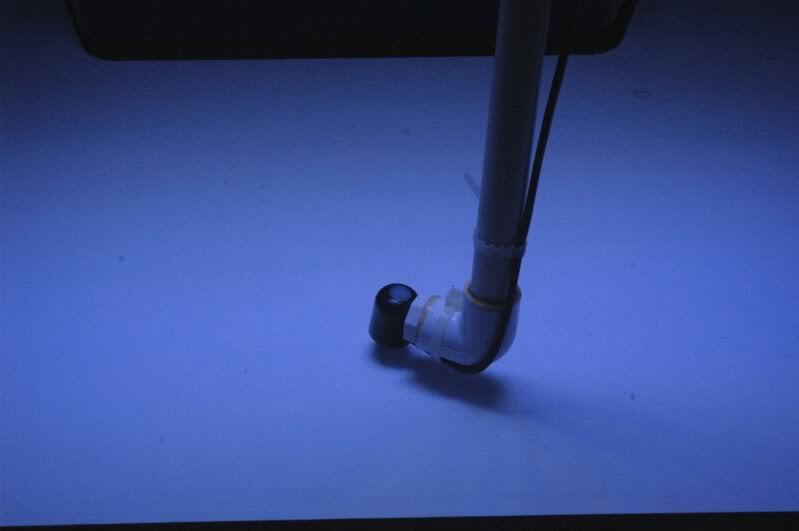 Also, measurements were taken from the diodes and not from the top of the units. 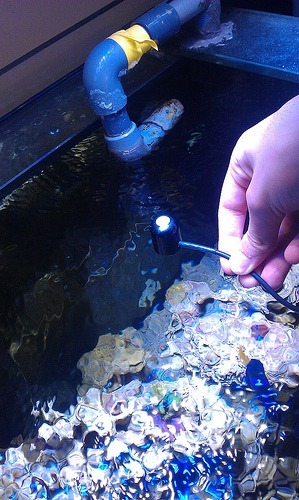 What I like the most is how the PAR readings don’t degrade so much as we go deeper and deeper, and at 30cm over the water surface They cover my tank perfectly, I could probably lower them down another 10 cms and still get the same coverage, but at this point I don’t think that I need the extra PAR. 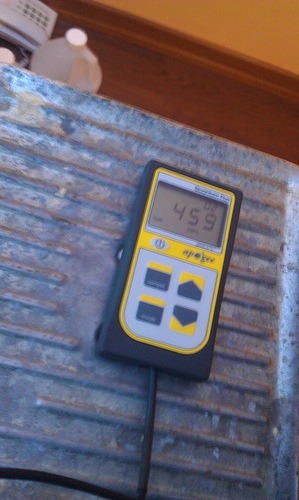 “I tested Par with the Apogee Par meter. 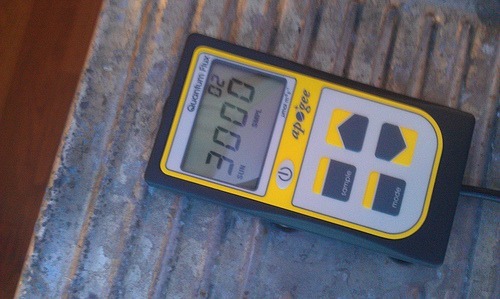 water level (12” under fixture-out of water) 1250 Par. 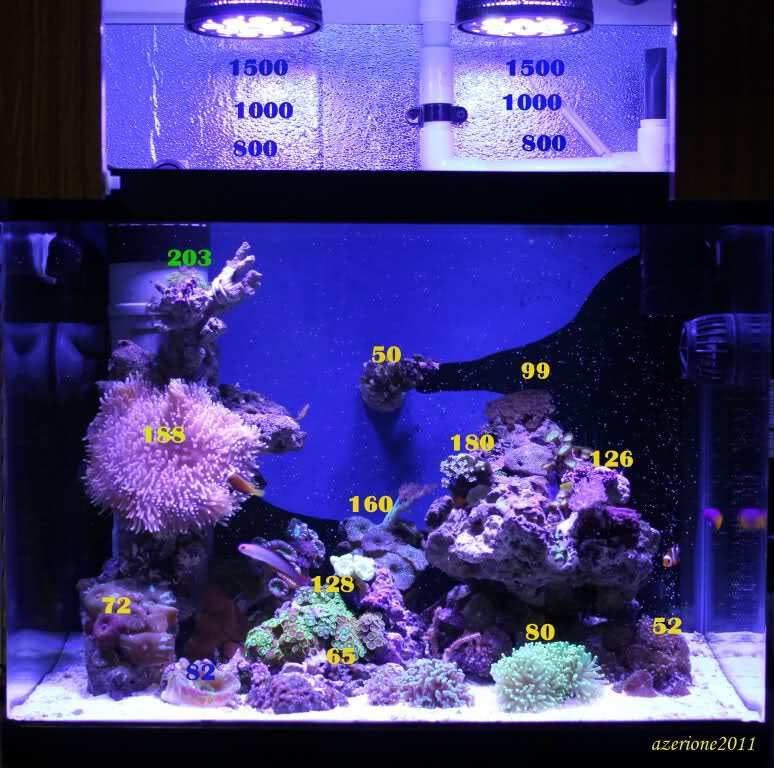 Reef central My new 450 Gal "pail"
There were spots where the meter read over 400 but this seems to be the most consistent reading. 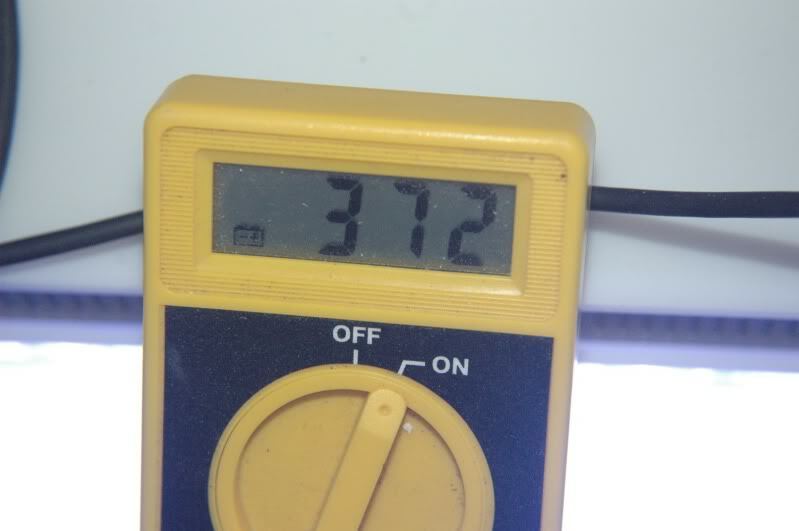 Granted this is through air and the number will drop when read through water but these are the highest PAR numbers I’ve gotten under all LEDs I’ve looked at and tested. I’ll need another Orphek to light this tank. 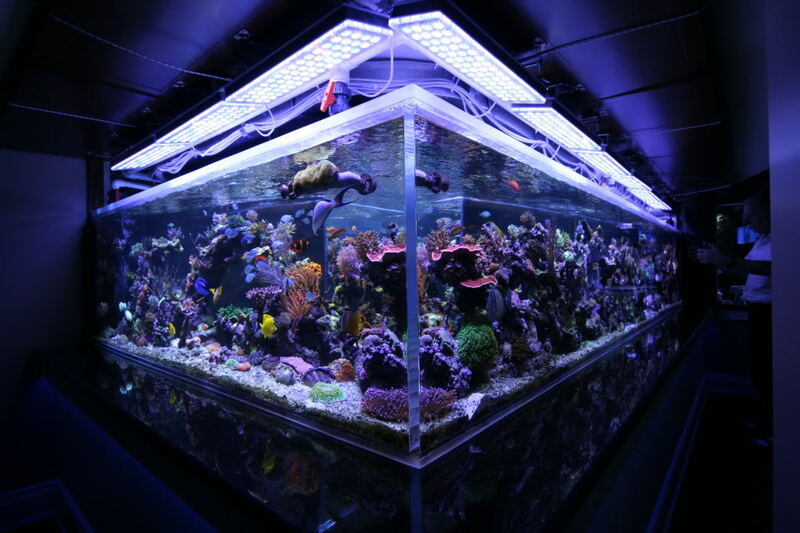 It’s a 60 x 24 x 30 deep 180 gal acrylic. My opinion: Since I’m great at starting DIY projects and losing interest in them, I have to buy the finished product. I want something that works plug and play. 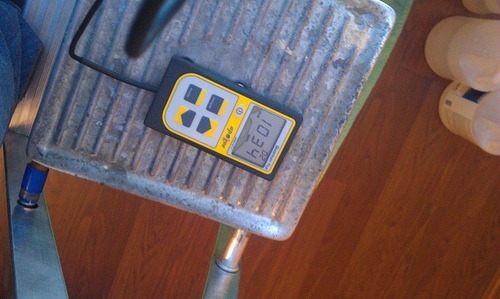 “I just made some PAR readings on my setup with an Apogee Par meter just wanted to know your evaluation on this.